These Rolling Signs are Made for Outdoor Advertising! 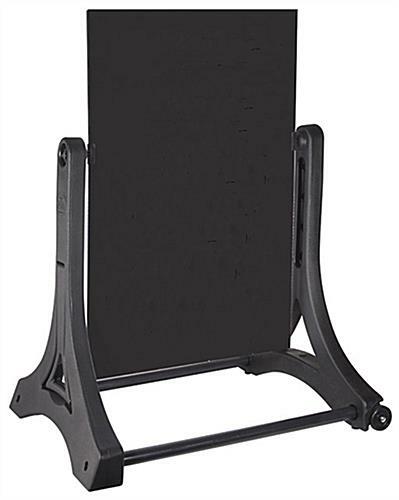 Each Year These Outdoor Marker Boards are One of Our Most Popular Products! 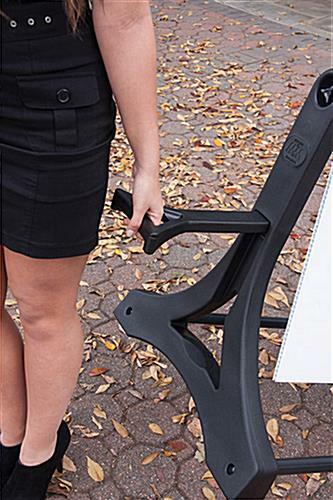 Self-storing handle folds right into the stand. Simply tilt and roll on the easy-glide wheels for storage and movement. Base can be filled with sand or water for added weight and stability. 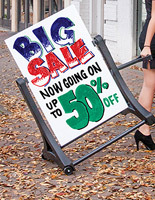 These rolling signs are great for outdoor advertising. Each outdoor marker board comes with three (3) wet-erase markers. 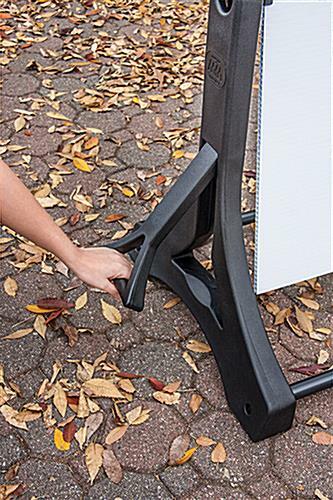 These rolling signs include a built-in handle that makes rolling the sidewalk sign easy. The handle is stored within the stand. 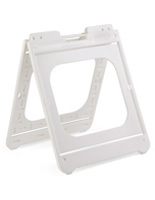 These rolling signs feature bases that can be filled for added weight. However, each mobile marker board is stable in winds up to 20 mph.